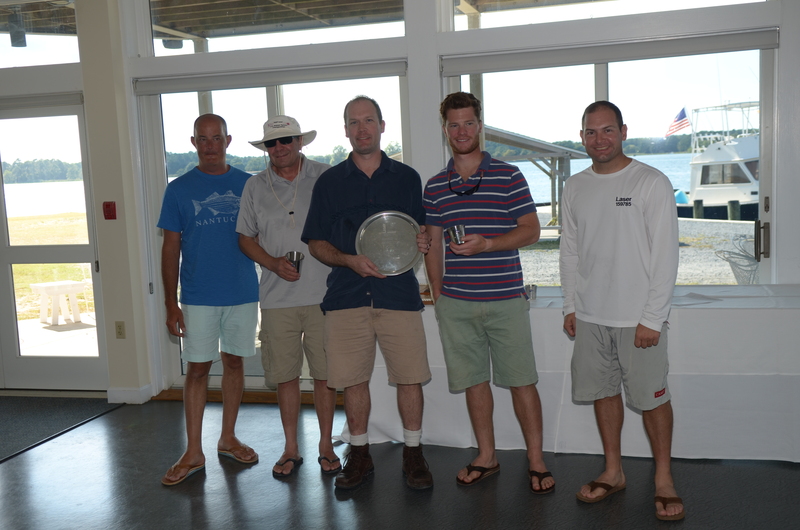 The final day of the Laser District 11 Championship was finished off on Sunday with 4 races for the Standards and 3 races for the Radials. 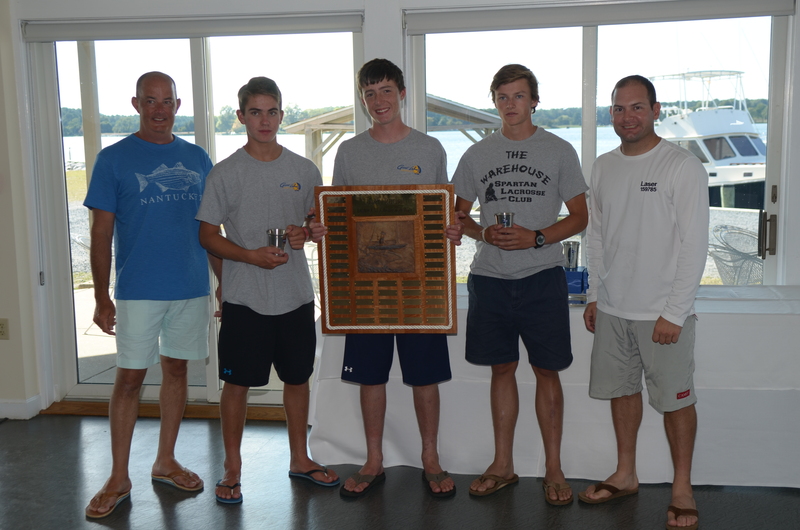 Luke Shingledecker (SSA) and Connor Bayless (AYC) are our 2014 Laser District 11 Champions! The weather Sunday started out with a nice breeze 8-11 knots, patchy clouds and just a little current. Luke finished 1-3-1-1 to secure the title and put on a pretty commanding performance in each of the races. 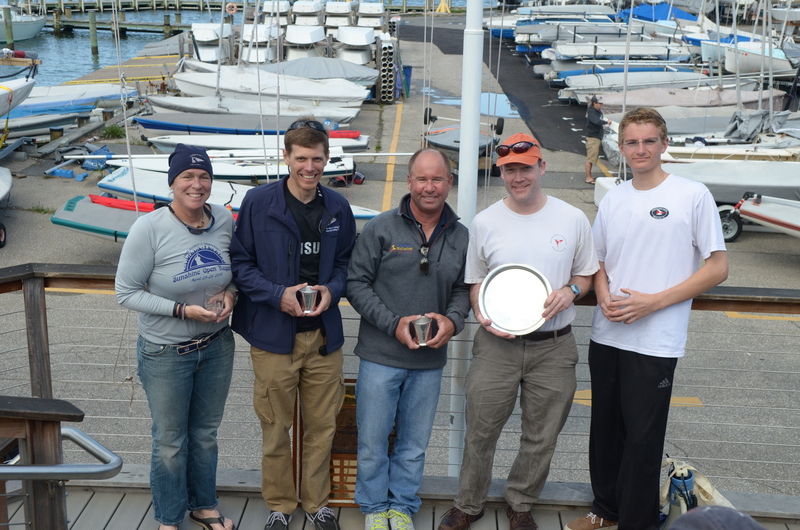 Henry Amthor (HYC) had some consistent finishes to raise himself up from 8th on Saturday to 2nd overall on Sunday. James Moran held on to a podium finish to end up 3rd. The radial fleet was a little more contested for the lead. All regatta Conner and Jake Vickers (SSA) swapped places – both had 1-2-3 going into the final race. As Conner and Jake were coming to their finish in the 4th race the Standards were starting and both crossed the line within inches from each other and blanketed by the Standards. So both of them were awarded 1st place in the final race. Since both had the same number of each place and the same finish in the last race, the tiebreaker was broken on the 2nd to last race and Conner got it. Jake finished 2nd and Aaron Helmly (TAYC) finished 3rd. Top Master was Luke Shingledecker. Top woman was Dorian Haldeman and Top junior was Connor Bayless. Thanks again to Tred Avon Yacht Club for hosting and to Mike Waters our PRO. Light winds and overcast skies greeted 31 sailors for the first day of the District 11 Championship being held at Tred Avon Yacht Club in Oxford Maryland. James Moran (RYC) and Aaron Hemley (TAYC) both put up bullets to lead the Standard and Radial fleets respectively in the single shortened race on Saturday. Results through day 1 are posted here. Racing continues on Sunday.